The world is witnessing rapid changes in established political structures. In the primary classes, geography teachers relish covering a particular topic – the structure of Earth. They explain how the Earth is a huge ball comprising layered masses of varying mix of solids and liquids. And then they make the dramatic announcement – we all are standing on top of constantly shifting plates – huge plates that are moving in some direction, and which have a bad habit of colliding abruptly, or slipping under others, creating earthquakes and volcanoes in the process. Tectonic plates respect no one, are beyond predictions, and capable of changing entire landscapes. As any student of politics and society will tell us, the geography teachers were spot on with the last part. Welcome to the brave new world experiencing massive tectonic shifts in politics, economics and trade – a world where certainty is a lost privilege, uncertainty is a certain strand of strategy-making and neo-nationalism is an unmistakable trend. The citizen of today sees a new landscape emerging unpredictably. She witnesses a bloody Arab Spring, a turnaround in secular Turkey’s approach, a resurgent and aggressive Russia, a re-militarising (?) Japan, a Trumped America, a radically restructured Indian monetary system and China officially making Pakistan a thoroughfare for its ambitions. These are not minor changes – our geography teacher would qualify them as tectonic! Before we try understanding the nature of forces shaping the world and events today, a quick dive into modern history is well-advised. The modern world arose largely at the end of the 19th century, when industrial revolution was tried and tested across Europe and in America, and it became clear that the fruits of capital-intensive and cheap-labour-driven industrialization will be enormous for nations who can do it. Many underestimate the impact of this “revolution” on society and politics, and we’ll attend to that lacuna now. 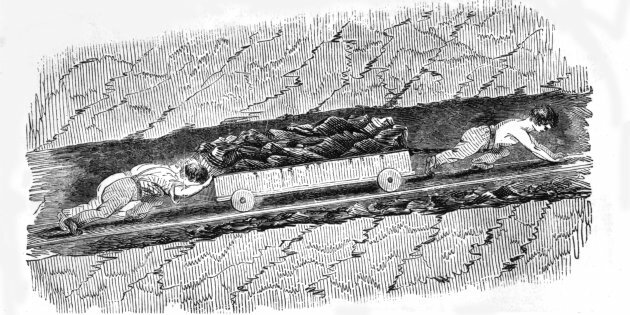 ##asterisk## The railway revolution and the ease of using metals on a large scale led to militarisation on a dangerous scale. This explains the gross bloodshed during World War I. It took some time before nations realised the demonic potential such industrial capacities were engendering. Ah, the glorious Industrial Revolution, building Europe's industrial strength while pushing kids into the mines! And one reminder – From early 16th century, competing European powers - a very complex structure is was then, and it is now! - were pretty sure that the only way to stay ahead of others was to hoard solid wealth in the form of gold and silver as those are limited resources. Global trade was considered a zero-sum game, and one could prosper only at the cost of others. The rampant genocides carried out worldwide by European “conquerors”, ably aided by the Church and its missionaries, bears shameful testimony to the blood and gore which built the foundations of modern civilized Europe. Who would know this better than the Amazonian tribals, or the once-proud mighty Indian civilization! The modern history that arose in the early 20th century was shaped by ultra-nationalism of European nations – France, Germany, Austria-Hungary empire, and so on. Each one wanted to ensure that their primacy is maintained. America – the USA – was comfortably several thousand miles away across the Atlantic and was happily building its own might, not too interested in mainland Europe, from whom it had gained its independence in the first place. Circumstances came together and the nations of Europe plunged themselves into the first “world war”, where everyone was fighting almost everyone else, with overlapping treaties and agreements, confusing a clear demarcation of friends from foe. Massive bloodshed from 1914 to 1919 changed Europe completely, and here is a quick summary of what happened next. An introverted America soon learnt its lessons, primary one being ‘strength bestows responsibility’. It was pulled into a bloody continental war – the World War II – when its supply lines to allied nations across the vast Atlantic were disrupted by a confident Nazi navy led by the merciless U-boats. When it became apparent that only a visible and strong alliance that is determined to wipe out the Axis powers (Hitler, Mussolini and Japan) would work, the USA jumped into the fray. By 1945, Germany was destroyed, Japan had surrendered after earning the tragic distinction of being the only nation in history to bear a nuclear-attack (so far), and Russia was relieved to see an existential threat disappear. The USA was the supreme superpower, and it undertook some steps to ensure a global order built on win-win rather than win-lose (or a zero-sum game). The communist bloc led by the industrializing USSR challenged it from 1950 to 1990, until its disintegration. Despite tall claims, wealth disparities have persisted and the unequal competitive advantage of nations ensured that three worlds emerged in 20th century – The First World (rich, industrialized, Western nations – all great polluters! ), The Second World (the Communist bloc led by USSR and China, and some more), and The Third World (everyone else bunched together – basically the Developing World). This classification of nations is rejected by many today. Adding fuel to the inequality fire, the Oxfam Report Jan 2016 claimed 62 people own as much wealth as half the world! In 2015, just 62 individuals had the same wealth as 3.6 billion people – the bottom half of humanity. This figure is down from 388 individuals as recently as 2010. There is little doubt that concentration of wealth is happening at an alarming rate, and nations seem helpless about it. The wealth of the richest 62 people has risen by 45% in the five years since 2010 – that's an increase of more than half a trillion dollars ($542bn), to $1.76 trillion. Meanwhile, the wealth of the bottom half fell by just over a trillion dollars in the same period – a drop of 38%. For multiple video analyses on World Politics related issues, welcome to Bodhi Shiksha channel! The global village we see around us today is a result of major changes that happened post second World War. We now list some of these. ##asterisk## The forever-at-war Europeans realized that fraternal conflicts have sapped all their vitality, and they came together to create the first major supra-national identity – the European Union (EU). Its fraying was evident in Britain's decision to leave, termed Brexit. Fears arise that France may follow suit ##asterisk## ASEAN, BRICS, RCEP, CARICOM and a host of other regional/commercial groups made nations come closer, and that ensured peace found a chance. ##asterisk## International trade grew manifold with Japan and Germany emerging as new industrial powers. Japanese quality and German engineering earned their spurs ##asterisk## Rise of computers and information technology started redefining the whole concept of wealth-creation itself ##asterisk## GATT which later evolved into the WTO, dreamed of a world trading order based on transparent rules and benefits for all, not only some ##asterisk## Post 1980, financial globalization turned into a flood, totally transforming the whole economic debate across first, second and third worlds. ##asterisk## A reason America has remained a dominant force for long is the unrivalled soft power it wields across nations. We find people eating American food, wearing American-style clothing, using American words and slangs, aspiring to reach America one day and totally immersed in American products and services (Facebook, Google, Twitter). This has led to cultural backlash in many countries as well - it's funny seeing people criticise America on Facebook using an iPhone while having a meal in a McDonalds, wearing Nike shoes! For some time, it almost seemed certain that mankind has taken a decision to emerge as one identity – one planet, one people. It all looks in tatters now. And before we move ahead, we take a look at some definitions shaping political discourse today. A philosophy which supports economic liberalisation and ultimately globalisation. For neoliberals, laissez-faire is the way to go for governments, and free trade the mantra. Private sector is favoured over governmental intervention. It is the opposite idea when compared to Liberalism and Socialism. It can refer to right-wing politics which favours personal wealth and private ownership (Capitalism) and lays stress on self-reliance and individualism. Anyone who wants to radically reform a political party or nation, even using force. Communism is left-wingism. Socialism favours creation of a welfare state, and minimising social iniquities. Communism wants socialism right now, right here! Capitalism favours a free entrepreneurial spirit, usually coupled with democracy, to help people contribute to society's welfare through the invisible hand of selfish interest. There are six fundamental cracks in the scheme of things today. 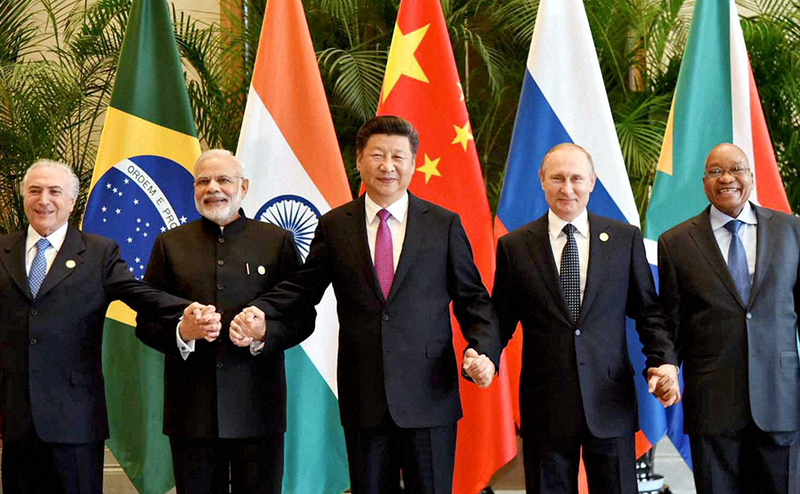 The world order built assiduously over the past seven decades seems to be withering away. Emerging nations are challenging the hegemons, who have no convincing replies to offer, or who are undergoing internal transformation too. The world order that was built post 1919, and then post 1945, was not acceptable to many. The complex relationships, many hidden and several motivated, have spawned a whole bunch of terror organizations globally. The ISIS, for example, always felt cheated by the clandestine Sykes-Picot agreement that the British and French (with alleged Russian help) used to dismember the ‘glorious’ Ottoman Empire. Osama Bin Laden was upset with the non-Muslim American soldiers roaming on the holy soil of Saudi Arabia. The Afghan Taliban got funded and supported by the Reagan administration so the Soviets could be humiliated and evicted from an occupied Afghanistan. So many of today’s problems owe their origin to such facts that many are unaware of. The basic promise of human dignity and equality that seemed to underpin most treaties and conventions in the 20th century has simply evaporated. Wealth concentration –often driven by technology ownership – is at an all-time high, leading even the relatively affluent common Americans to organize themselves into a “We are the 99%” movement! As of now, no nation has an answer to this creeping problem. Poverty has been attacked through systematic programs, often led by the World Bank itself, but rising populations have often negated any visible gains. Post the Indian demonetization of high-denomination notes in November 2016, the poor stuck in endless queues outside banks and ATMs seem not to mind much as the affluent have been “brought to their knees” by Modi. The forward march of globalization suddenly seemed to sputter after the ghastly 9/11 attacks on Twin Towers in the US. America was bent on bringing the terror-masters to book, and that started a process worldwide which is showing its after-effects till date. Although, below the surface, many simmering factors of discontent were building up since decades – inequality, official corruption, disaffected masses, loss of identity, meaninglessness brought by materialism, and so on. Strangely, the harbinger of cultural globalization – America – itself began seething with anger as jobs were ‘taken away’ by those ‘low-paid Indian workers’ and the ‘currency manipulating Chinese exporters’. China's education system was anyway building patriotic fervour through multiple means, something the Communist Party is now realising may spiral beyond control. What the modernizer Deng Xiaoping did in China starting 1979 is now showing its full impact. Deng, and engineer, saw a China that was destroyed economically and industrially by the madness of Mao’s multiple revolutions (from 1949 till his death in 1976). Deng ensured three things – (a) Solid focus on science, technology and engineering, (b) Getting foreign capital into China to build factories, and (c) Large scale employment in manufacturing and then exporting the output. This remarkable nation-building project – done at the cost of democracy-seeking youth crushed by PLA’s tanks in the Tiananmen Square – made China supremely affluent and influential. Its several trillion dollars worth of foreign exchange reserves today grant it a leverage that no other nation possesses. Xi Jinping can plan an audacious One-Belt-One-Road spanning large parts of Asia, including illegally occupied territories like the PoK, on the back of endless flow of capital. And it’s not just Asia the Chinese are aiming at – entire Africa and Latin America has Chinese footprints emerging. The entire Arab world underwent a transformation through the 1980s, 90s and beyond. The youth, which had no affinity to the power and grace of the ruling families, were the biggest chunk of the population in these nations. They could not accept the fact that some families were ruling them for generations together, with no hope of any democratic transition anytime soon. A result of this anger and frustration – the bloody Arab Spring – from Dec 2010 onwards has left the entire Arab World in shambles. Apart from Tunisia where it all started, no other nation regained democracy. The Indian demonetisation decision - arguably the boldest ever - was prompted in part by a belief that the youth (majority of population) do not identify with yesterday's political ideologies of electoral corruption. Once considered a panacea for ills of the world, globalisation has led to disenchantment in large sections of the developed world. People have seen jobs evaporating from under their feet, and cheaper goods flooding their markets. Political parties have responded to this growing anger by nurturing conservative ideologies that often turn right-wing, and the rise of Donald Trump, the unexpected Brexit in UK and the growing right-wingism in France and Germany are all cited as examples of the trend. That brings us to what we started with – the string of major changes happening around us today. Having seen the historical reasons, we can now deconstruct these events easily. What some call “a new nationalism” can also be referred to as “rise of the ancient” or “fall of the supra-national”! Powerful nations today seem determined to participate in a dog-eat-dog world, rather than help build and sustain a collaborative global order. Sudden policy reversals and investment decisions are not uncommon. In the middle of the need of nations to export more, a conservative political core is emerging. China is pushing right through Pakistan, into the Arabian Sea, in a quest to counter India's influence in the Indian Ocean region. Unpredictable Complexity in the World Today = A fallout of Rising Inequalities + Resurgence of Nationalism + Anger at historical injustice + Religious interference in State matters + Backlash against Globalisation. Let us now see the five changes in detail. Many Americans are very angry with rising inequality and the prospect of being jobless in a rapidly transforming world driven by technology, and they also attribute their misery to the super-competitive Chinese and super-talented (and often low-cost) Indian competitors. The huge concentration of wealth in technology-hotbed coastal America (Silicon Valley ranks in Top 5 worldwide measured by GDP output!) angers the middle and industrial America. They view the WTO as a conspiracy to steal their jobs. Why send our military everywhere when no one even thanks us for the help? Why trust the establishment (Hillary Clinton) when they have let us down so badly? Why allow immigrants into America at all (Muslims and others) when all they do is create trouble for us? Why even import from China when they cheat us by currency manipulation? Many of Obama’s initiative may bite the dust now, including the Trans Pacific Partnership (TPP). In a scary twist to this neo-nationalism, shades of Hitler’s Nazi salutes were seen in some gatherings. The Statue of Liberty must be shivering on her pedestal right now! Read our comprehensive Bodhi on this topic, here! Since Nov 8th, Indians are witnessing the after-effects of the most dramatic political-economic decision ever taken by a Prime Minister. In one stroke, a primarily cash-driven economy India was ordered to turn cashless and digital. India is a huge economy, ranked consistently in top 5 globally. The sheer size of the economy hides the fact that a large percentage of citizens lead lives of struggle and destitution, due to a very low per capita income. It is often agreed that the most obvious aspect of a positive national character in India is its glaring absence. What has led to this? Sheer apathy and gross selfishness shown by every single pillar of the establishment. Decades of government and private sector corruption, a greedy bureaucracy and a self-serving political class, breakdown of institutions enshrined in the Constitution, poor work culture, poor ease of doing business, an archaic education system and lack of political will to bring transformational change. Well, the winds of massive change are upon India and over the next few quarters, one of the most dramatic economic and social transformations ever witnessed by mankind will unfold. Modi has promised a massive crackdown on benami (unnamed) holdings and graft, as the second lap of the national rejuvenation project. Vladimir Putin took over from Boris Yeltsin, many years ago. Yeltsin himself had taken over the reins of a collapsed Soviet Union, and had tried to turn it into a market-oriented democracy. Putin’s reign has witnessed a certain assertiveness which reminds the world of the heights the Soviet Union had once touched. Of the many flashpoints, the Russian support to rebels in Ukraine and the unstinted support to Bashar Assad of Syria are visible every day. Despite American irritation, Russia has constantly opposed the EU’s attempts to co-opt Turkey, and may actually succeed in weaning Turkey (under Erdogan) away from the American-European sphere of influence into the Russian domain! Russia was always wary of the NATO in Europe. Also, the recent news of Russia unveiling the most-massive nuclear weapon ever made by man, loaded on an ICBM, surprised no one. 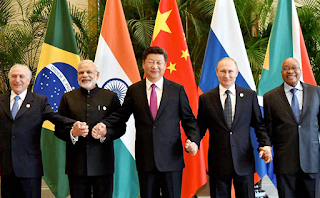 Putin’s recent inclination towards Xi Jinping’s China rang alarm bells in India, and the failure to get some terror-related announcement made in the BRICS declaration (Nov 2016) caused further dismay. The alarming collapse in oil prices has hurt Russian revenues and domestic manoeuvering badly, and that perhaps explains many of its recent tactical moves. Official NATO site says "NATO and Russia have profound and persistent disagreements; however, the Alliance does not seek confrontation and poses no threat to Russia." 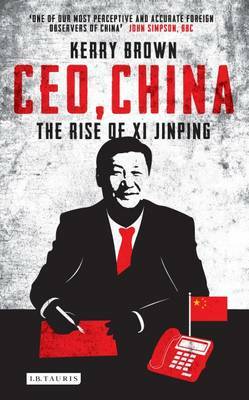 Ever since Mr Xi Jinping took charge of PRC in 2012, aggressive winds of change became visible. He has led a massive crackdown on corruption across China, and hasn’t spared either politicians or government officials. China has increasingly claimed larger chunks of areas in the South China sea, leading to an adverse arbitration ruling in a case brought by Philippines under the UNCLOS, which has further aggravated the maritime situation. The ultra-ambitious One Belt One Road initiative is pushing China into large regions of Asia, and India is extremely upset to see the China Pakistan Economic Corridor (CPEC) pass right through the illegally occupied PoK. China has now appointed its naval ships at the Gwadar port also! How long before Pakistan formally becomes a colony, many analysts wonder (including some Pakistani lawmakers). At the same time, if Pakistan prospers due to the CPEC, it could be good news for India. China’s economic might continues to grow, and its trillions-of-dollars worth foreign exchange reserves is allowing unprecedented leeway to government companies tapping into assets worldwide. In fact, China is a big investor into Indian companies now (PayTM, for one!). Anti-Japan sentiment in nationalistic China is at an all-time high, and the near collapse of proposed Trans Pacific Partnership (Obama’s baby, which excluded China but included Japan) after Trump takes over has made China very happy. If ever the most tragic chapter of human history will be written, then apart from the marauding hordes of Mongols shooting entire cities dead, the collapse of the once prosperous Arab World and the chaos in the middle East will perhaps figure prominently. Oil has driven some states – Saudi Arabia, tiny Qatar, UAE etc. – to glorious riches. However, the general outlook of the ruling families remains strongly traditional, overlooking basic right for women, and hardly allowing for freedom of speech in a modernizing world. America maintained a strong military presence in the middle east, using a network of friendly nations. And it failed totally in sensing that massive change is in the offing. That tells a lot about the nature of change we see in today's world. Here is an article the author wrote many years ago explaining this. The Arab Spring resulted in regimes getting overturned in Tunisia, Egypt, Libya, and Yemen; bloody civil uprisings in Bahrain and Syria (still unfinished); series of protests in Algeria, Iraq, Jordan, Kuwait, Morocco, and Oman; and minor protests in Lebanon, Mauritania, Saudi Arabia, Sudan, and Western Sahara. No one was spared! Where the ruling families erred was in miscalculating the youth’s aspirations and desire for modern change in a “globalizing world”. The price has been paid by everyone, as the middle east turns – once more – into the competing turf of global powers. The collapse of oil prices has only complicated matters. The fallout was clear – hordes of immigrants swamping into Europe, changing the political discourse heavily, allowing extreme right wing Parties develop a space for themselves not seen after World War II. At the same time, Israel's stiff stand on Jewish settlements in occupied territories is creating renewed tensions. Read more on that here in Bodhi Saar. As we saw, flux in world politics is intense. The change is upon us, and with each passing day new equations are developing. One can only hope that in the competitive national race to be on the top, the wrong buttons do not get pressed. There never was a better time to remind ourselves of the defining statement of the French Revolution - Liberty, Equality and Fraternity!